We live in a world obsessed with the way we look. But, what are the key signs to look out for when a loved one's body image has taken over their life? In a recent report, Sky News investigated the impact Body dysmorphic disorder (BDD) is having on young people in the UK. They found that hundreds of children are missing years of school, for fears that they are ugly. BDD, commonly referred to as body dysmorphia, is an obsession with flaws in your own appearance. But, the important thing to remember is, a person with BDD is not vain or self-obsessed. The condition is incredibly upsetting and can severely impact daily life. For some, even leaving the house can be a difficult task. The condition can even lead young people to make dangerous choices, dramatically impacting their physical and mental health. Sky News found that, worryingly, some children have even resorted to self-surgery, in order to change their appearance. Currently, the Centre for Anxiety Disorders and Trauma at the Maudsley Hospital in London is the only facility in the country to treat young people affected. The hospital has recently partnered with mental health charity Rethink, providing school workshops to uncover the realities of the condition. Their research found that 80% of young people surveyed are concerned with their body, while as many as 5% could have BDD. More research is needed to understand the implications of BDD but what is known is that early diagnosis is key, as is the case with many other mental health conditions. Yet, unfortunately for young people, getting a diagnosis can be tricky – because it’s a condition that very little is known about. As a result, spotting the signs of body dysmorphic disorder is vital – to help ensure young people get the support they need. 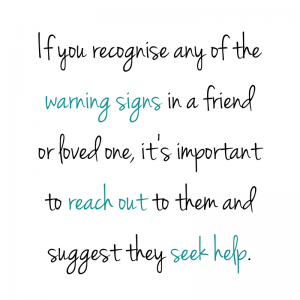 So, if you recognise any of the following warning signs in a friend or loved one, it’s important to reach out to them and suggest they seek help. If left untreated, body dysmorphic disorder can lead to a range of other issues including depression, loneliness and self-harm. Do they spend a lot of time on social media? Of course, this is not always a warning sign in itself, but if they are using social media as a tool to compare themselves with others, this can become an unhealthy habit. They may repeatedly seek your reassurance, asking for your opinion of how they look – and often, they may not believe what you say. Mirrors can be tricky when dealing with obsessive worries about your body image; it can easily go one way or another. This goes for cameras, too. Maybe you’ve noticed that they hate having their photo taken – to the point where they avoid cameras at all costs. Or, maybe they’re always taking photos of themselves. They might use selfies as a way of checking their appearance. The condition can weigh heavily on a person’s self-esteem and how they think others feel about them. They might worry a lot about what other people think about them. So much so, that they might start withdrawing socially, or avoiding certain situations due to concerns about their image. They might spend excessive amounts of money and time on trying to “fix their flaws”. It’s worth noting that these flaws may not even be noticeable to others – they may be minor or even imagined. They may undergo multiple medical procedures to try to eradicate or minimise the perceived flaw, often resulting in unsatisfactory results – in trying to seek perfection, the results may never live up to the person’s expectations. These could include spending excessive amounts of time on covering up perceived the flaw, such as using skin camouflage makeup. They may brush or style their hair obsessively or wear items of clothing to cover themselves up, for example, with hats or scarves. As well as checking their ‘flaws’ constantly, they may also have developed a habit of repeatedly touching or measuring themselves – to check if they change. Be mindful that your loved one is in distress about the way they look. Show them support and let them know that you are there for them – kindness is key.